VH1's new docu-soap, "Love & Hip Hop: Atlanta," is a tale of struggle, love, and temptation with a southern twist. Atlanta is the new frontier in entertainment, the Dirty South, where the opportunity to make it big in the rap game is always one hustle away. Competition is fierce in both the professional and personal arenas - they love hard but leave even harder. 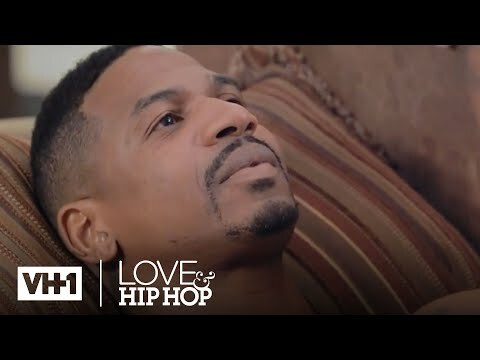 Among the main characters in this 10-episode series are Stevie J, a three-time Grammy Award-Winning producer who has worked with artists such as Diddy, Jay-Z and Mariah Carey, Stevie's longtime girlfriend Mimi Faust, and a fiery up-and-coming Latina rapper named Joseline. There's no shortage of drama with this strong-willed trio. Also featured are Lil Scrappy, best known for his 2006 smash hit, "Money in the Bank," his girlfriend Erica Dixon, and his mother, a former hustler known as "Momma Dee." The hometown hero, Atlanta rapper Rasheeda, is still searching for that big hit after years in the hip hop game, but she's constantly at odds with her manager Kirk Frost - who also happens to be her husband. Rounding out the cast are the talented songbird K Michelle, and Trinidadian R&B singer Karlie Redd. They're all chasing the dream in "Love & Hip Hop: Atlanta."